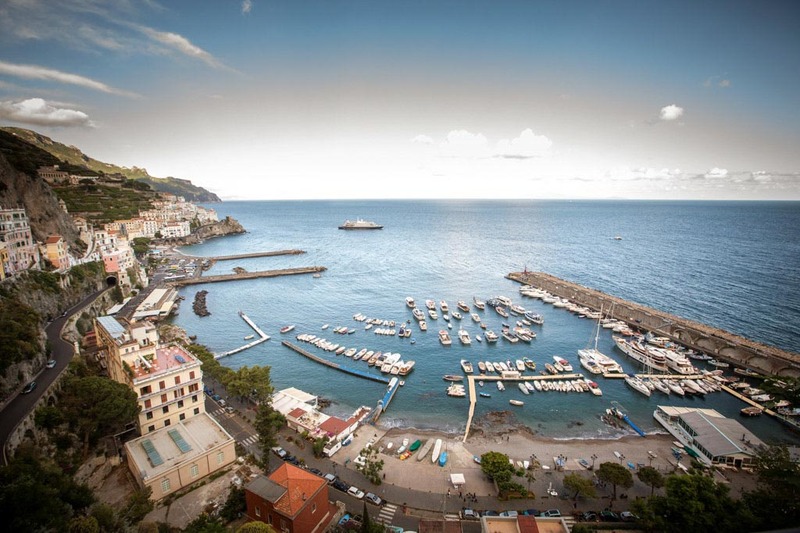 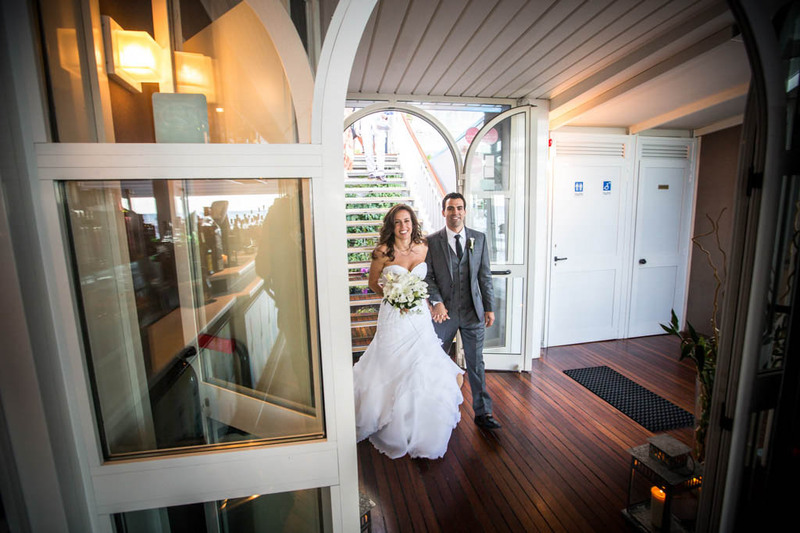 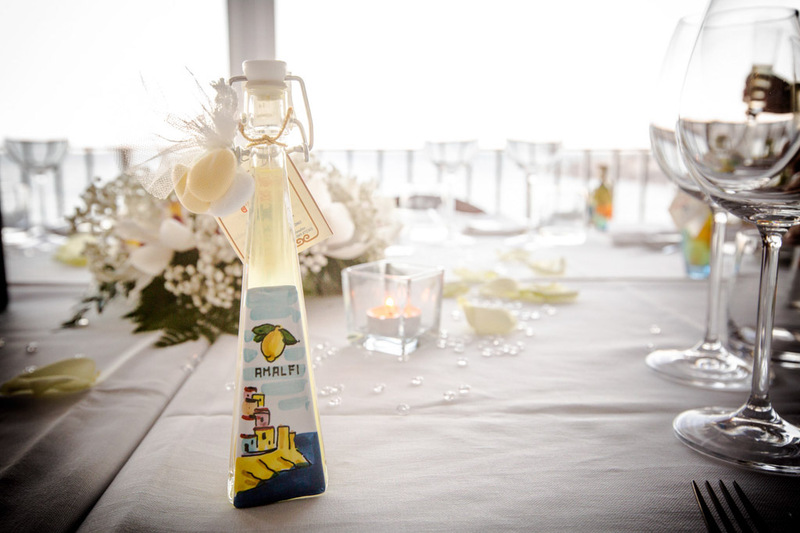 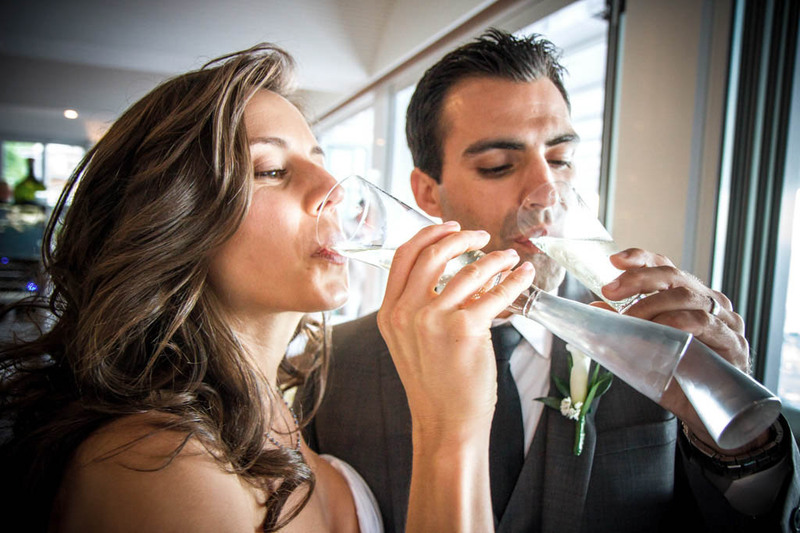 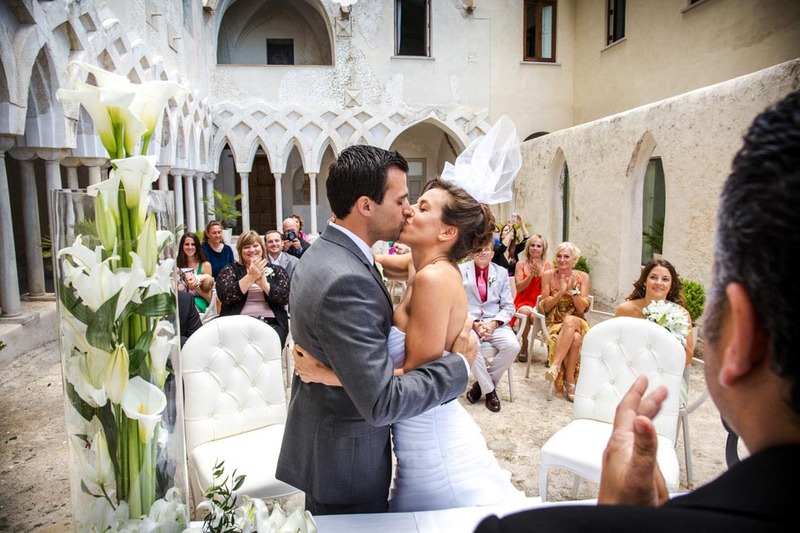 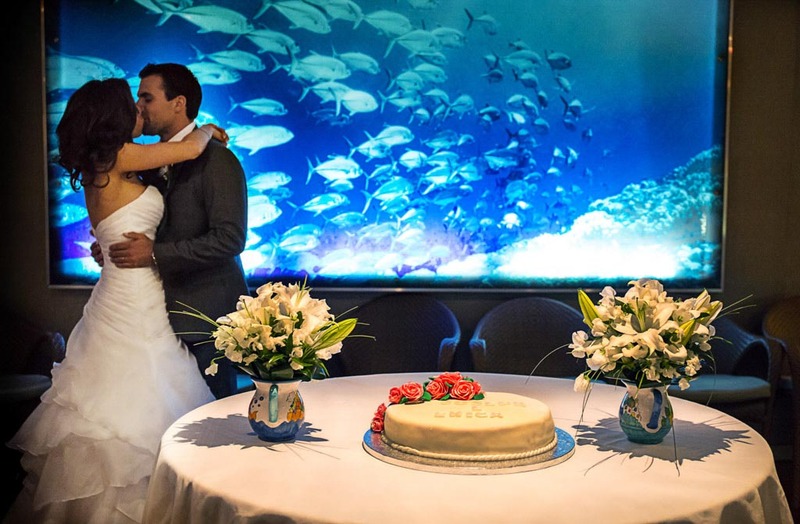 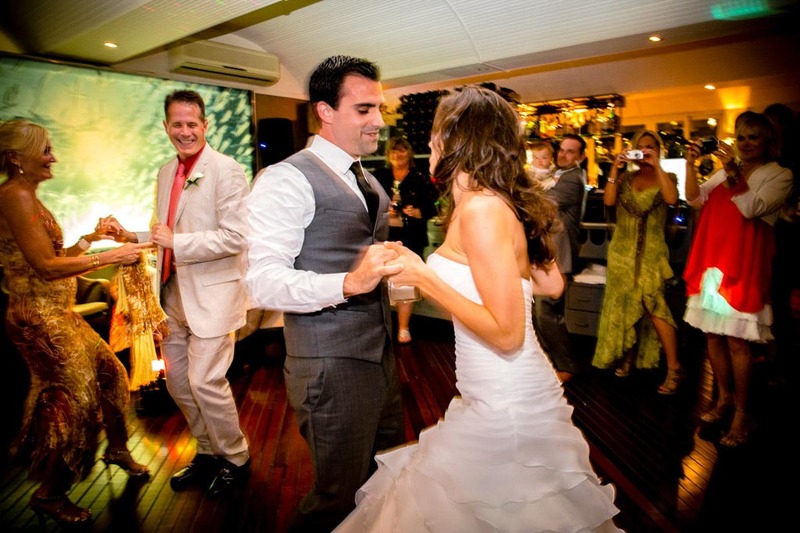 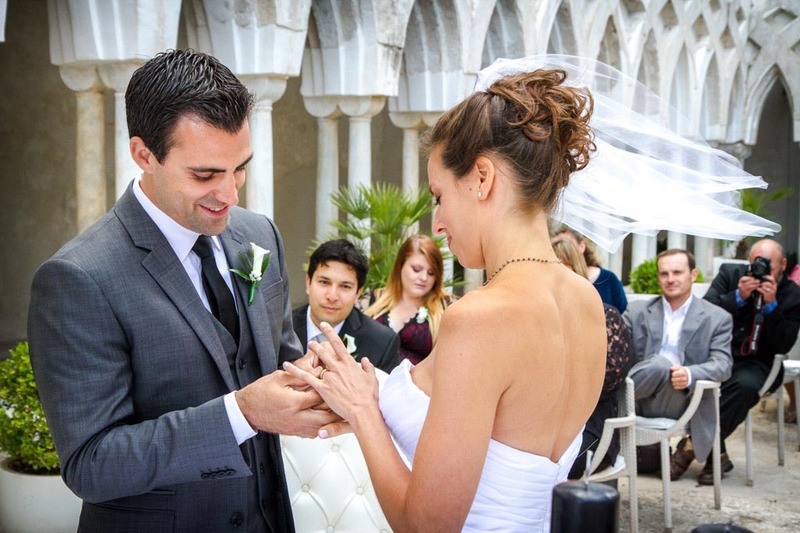 Wedding Amalfi is what Joseph and Erika have ever dreamed! 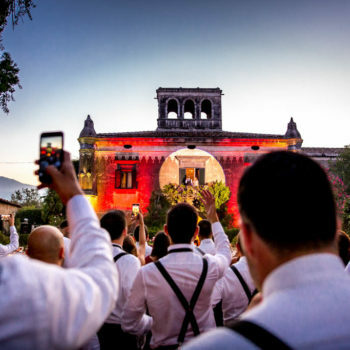 They have chosen Amalfi, their own corner of paradise in Italy, to celebrate an intimate ceremony with their family and close friends. 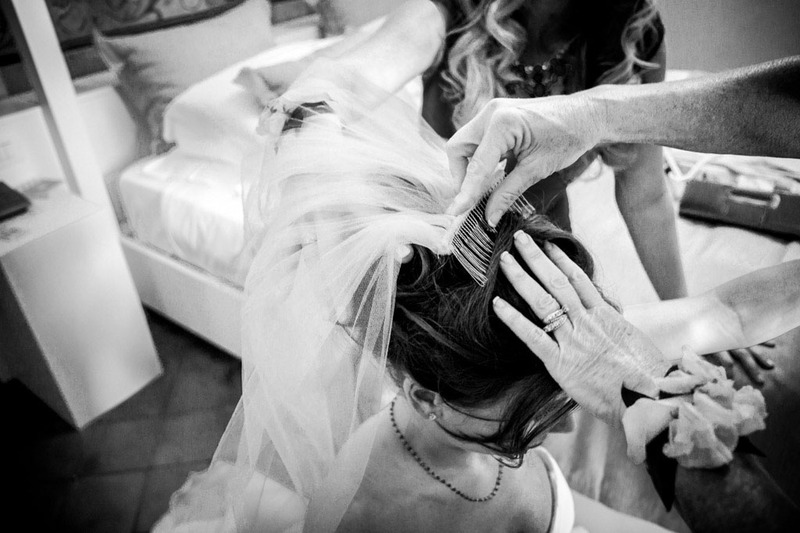 Erika got ready for her big day with her bridesmaids in a total relaxed and cheerful atmosphere. 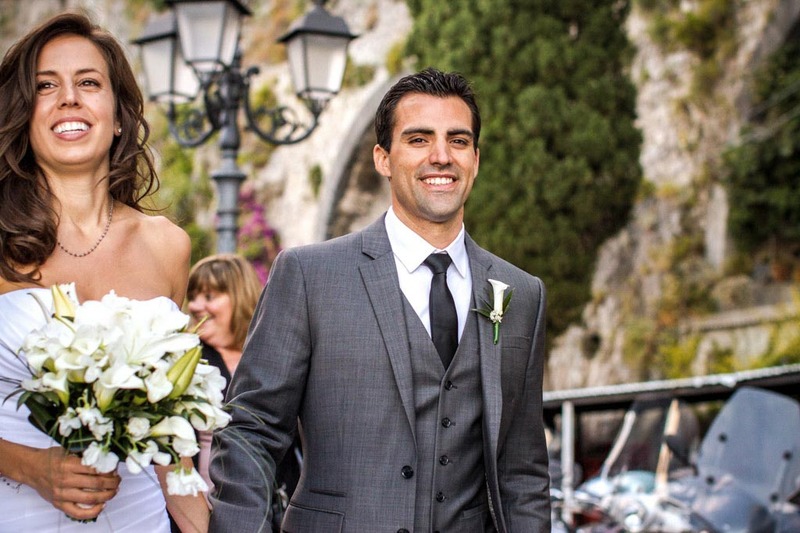 With her wedding gown she looked like a beautiful princess! 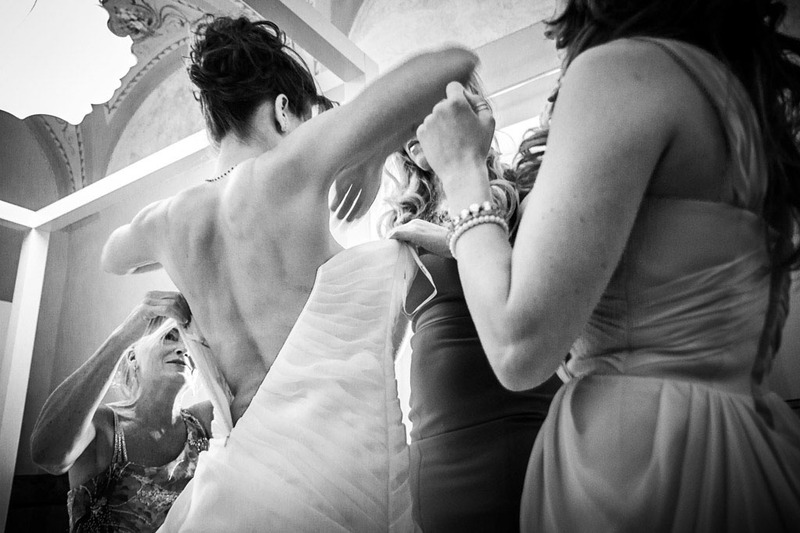 Together with her father she walked down the aisle to reach Joseph. 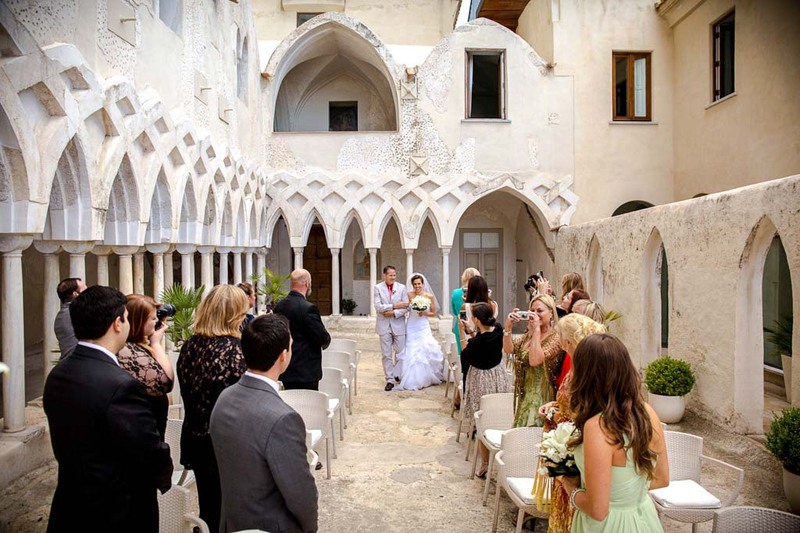 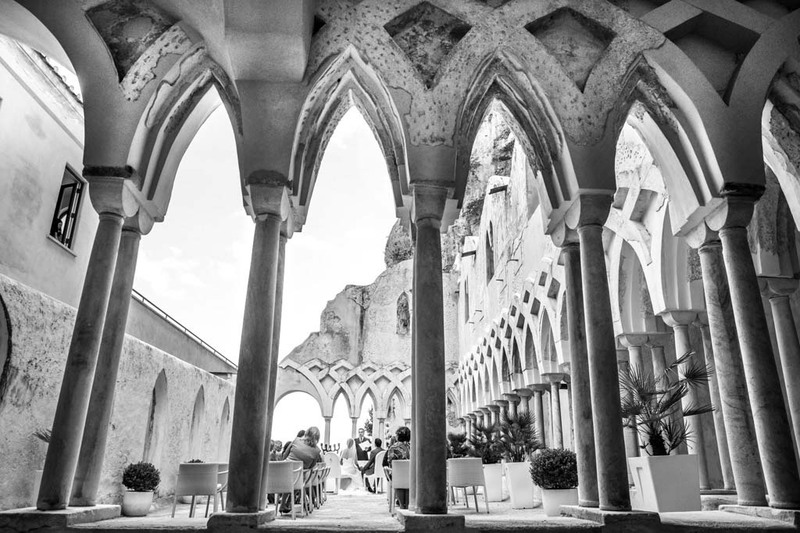 The ceremony was celebrated inside the Arabian-Norman cloister of the XIII century of the Grand Hotel Convento di Amalfi. 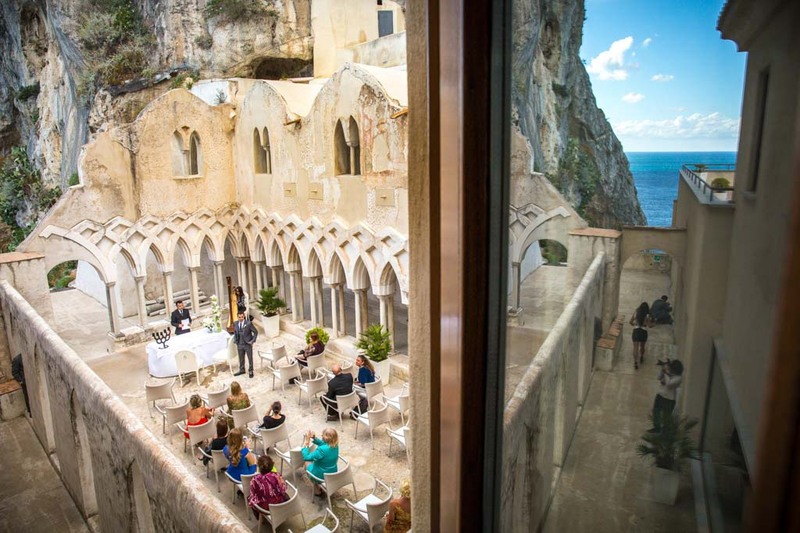 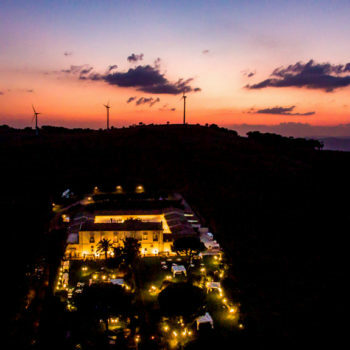 An old monastery built on a cliff overlooking the sea and transformed into a luxury hotel many years ago. 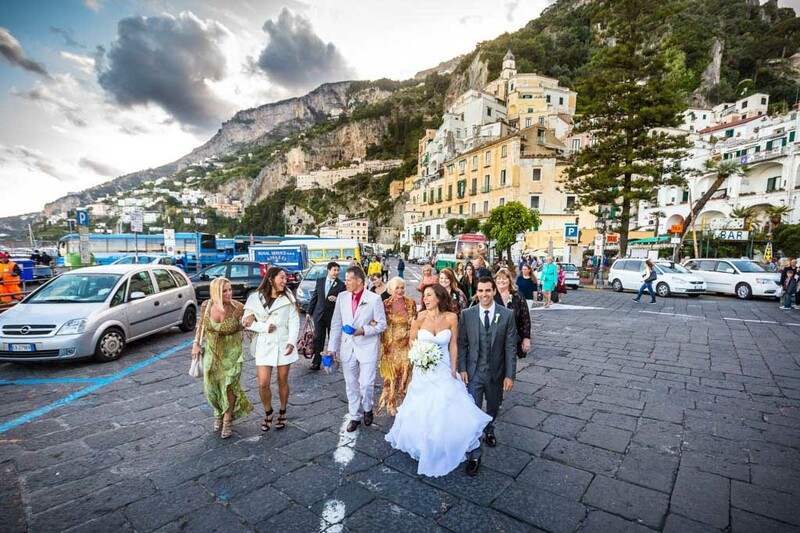 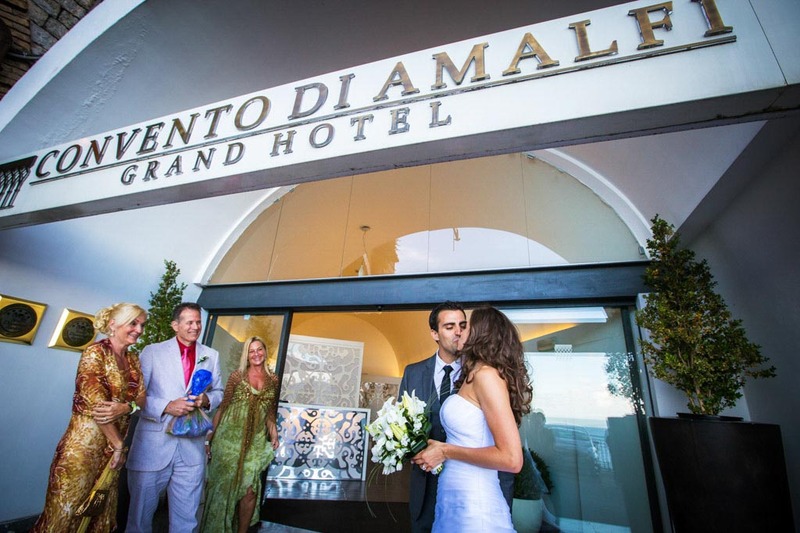 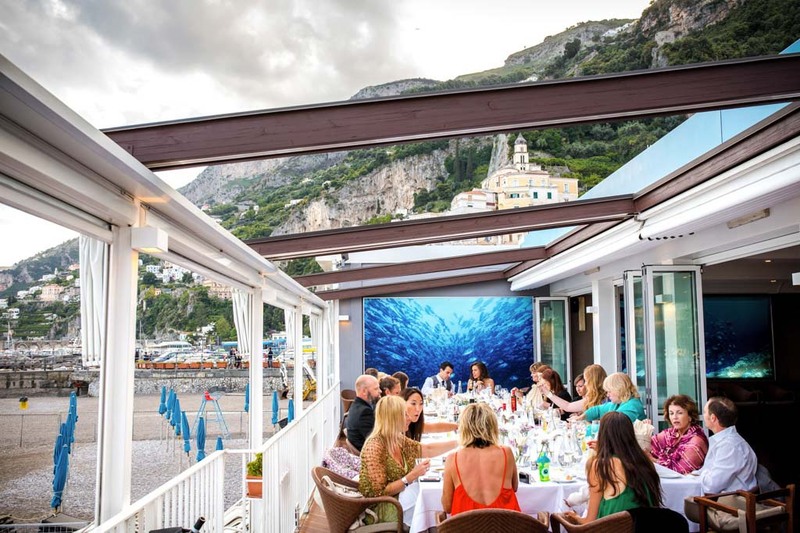 A stunning place to celebrate wedding Amalfi. 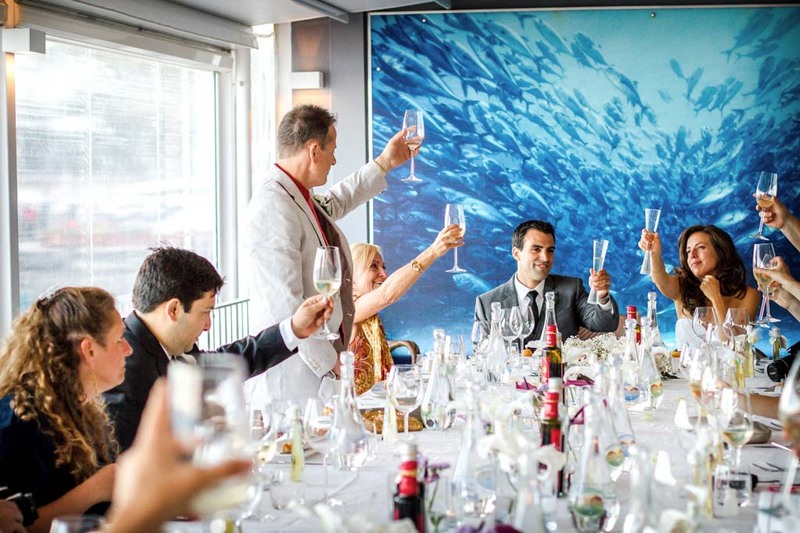 After the ceremony, the newlyweds with their guests formed a happy wedding procession and walked to the Restaurant Marina Grande, a great place on the beach. 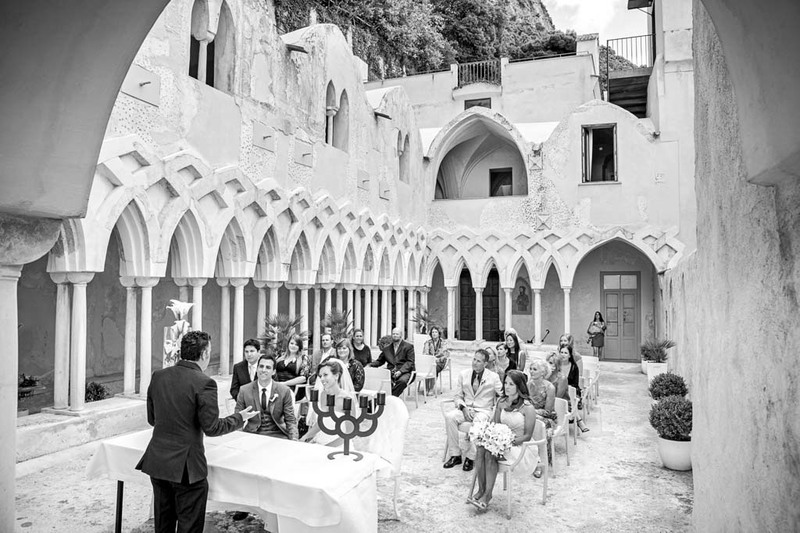 The wedding table was set for them in the restaurant viewpoint: the “belvedere”, in perfect harmony with the amazing view of the Amalfi Coast. 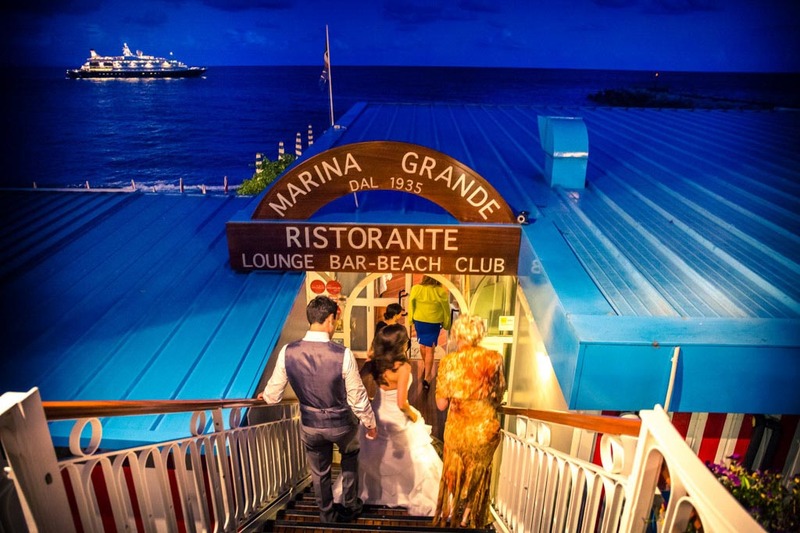 A truly romantic sunset followed a traditional Amalfi wedding dinner. 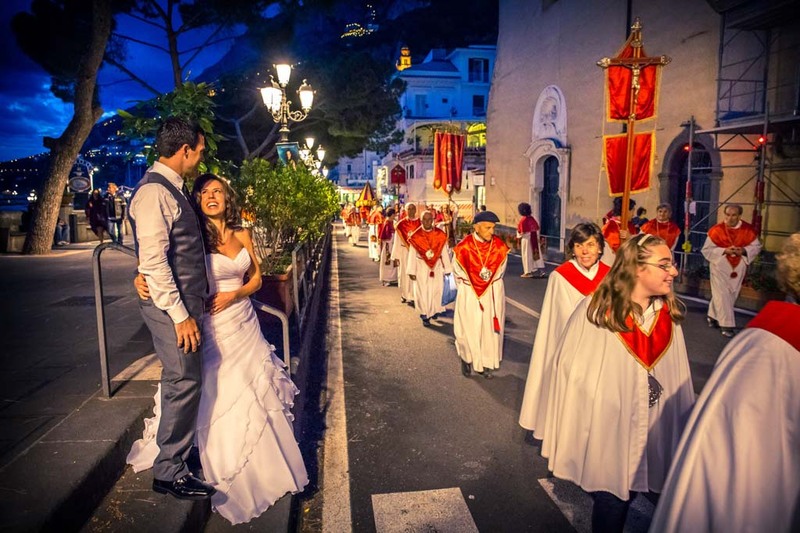 A few minutes before the wedding cake cutting, Erika and Joseph unexpectedly attended the religious procession of the patron saint of Amalfi: St. Andrew, such a special ‘thank you’ to the young couple! 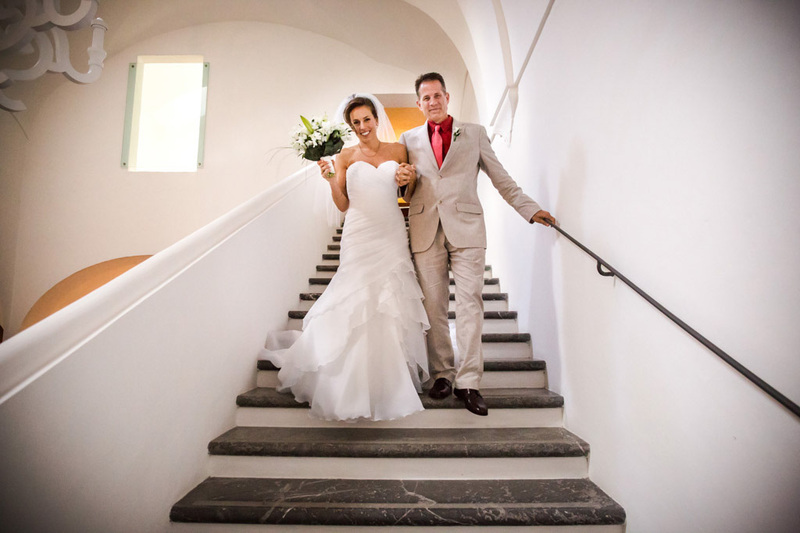 Marco, We received the album today… It’s pure perfection and we absolutely love it. 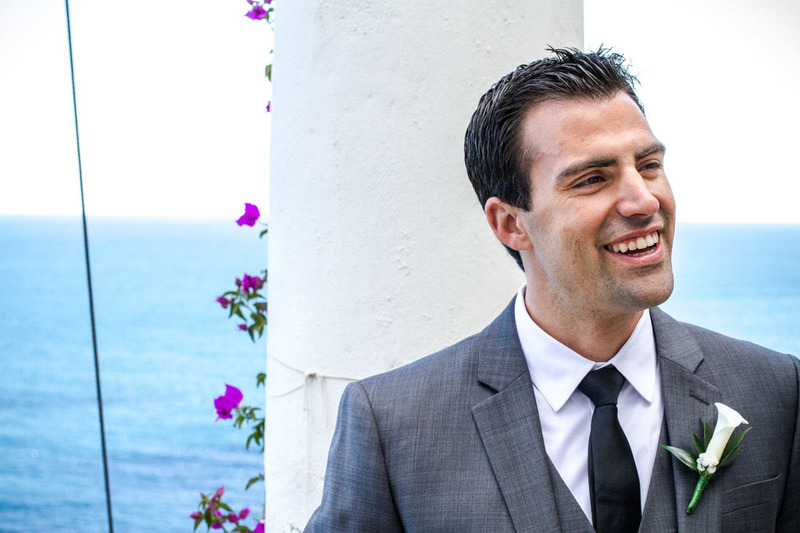 Thank you so much for all you have done. 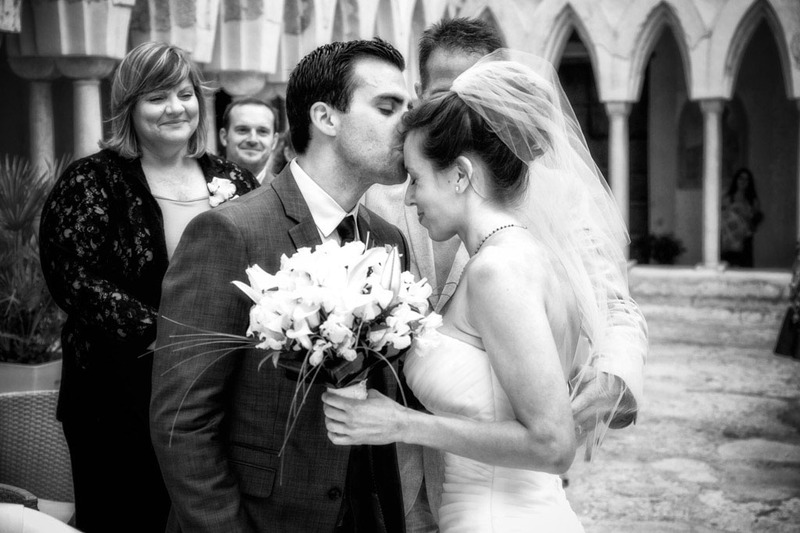 Truly happy & eternally grateful, Joseph & Erica.